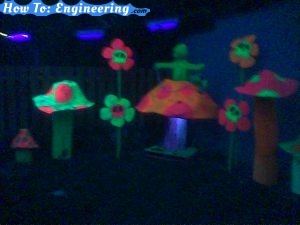 The decorations were made from paper mache, painted, and placed under a black light (UV). 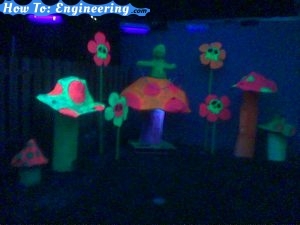 This was in the backyard of the Halloween party. Super awesome!